Few details remain regarding his life, aside from his published work, due to the destruction of El-Zahra during later Castillian-Andalusian conflicts. 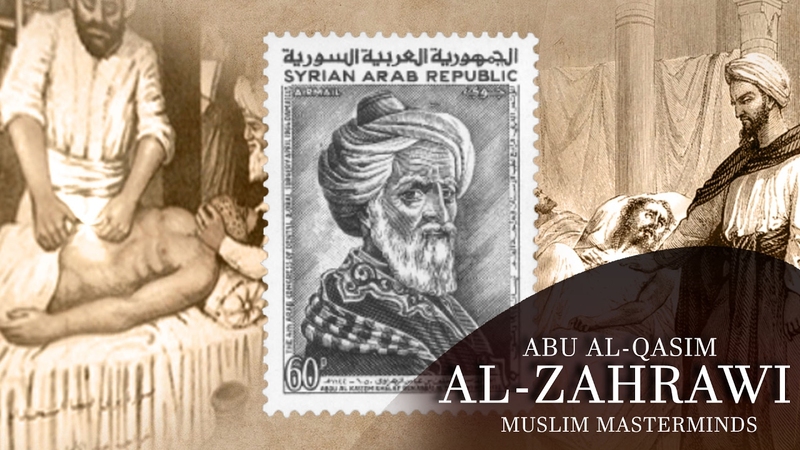 His name first appears in the writings of Abu Muhammad bin Hazm (993 – 1064), who listed him among the greatest physicians of Moorish Spain. But we have the first detailed biography of al-Zahrawī from al-Ḥumaydī’s Jadhwat al-Muqtabis (On Andalusian Savants), completed six decades after al-Zahrawi’s death. Al-Zahrawi’s thirty-volume medical encyclopedia, Kitab al-Tasrif, completed in the year 1000, covered a broad range of medical topics, including on surgery, medicine, orthopaedics, ophthalmology, pharmacology, nutrition, dentistry, childbirth, and pathology. The first volume in the encyclopedia is concerned with general principles of medicine, the second with pathology, while much of the rest discuss topics regarding pharmacology and drugs. The last tretise and the most celebrated one is about surgery. Al-Zahrawi stated that he chose to discuss surgery in the last volume because surgery is the highest form of medicine, and one must not practice it until he becomes well-acquainted with all other branches of medicine. Throughout the text, Al-Zahrawi uses an authoritative tone to declare his expertise on the topic. For example, when introducing topics or describing procedures, Al-Zahrawi often warns the reader of the skills necessary to complete the task. In chapter forty-eight, “On cauterization for numbness”, he defines the required knowledge for the procedure in a commanding tone: “This should not be attempted except by one who has a good knowledge of the anatomy of the limbs and of the exits of the nerves that move the body”.He invents a criterion to generate a standard of skill level, indicating that he himself has surpassed it due to training and experience. As such, he reiterates his preeminence by implying that he is part of an exclusive group of learned surgeons capable of correctly completing this cautery. In another instance, he states that the procedure should be avoided completely by incompetent surgeons: “However, no one should attempt this operation unless he has had long training and practice in the use of cautery”. Al-Zahrawi was not afraid to depart from old practice, for example, he openly disparages the opinion that cauterization should only be used in the spring season: “…the Ancients…[affirmed] that spring was the best. Myself, I say that cautery is suitable at all times”.Four pages later, he again opposes the opinion that gold is the best material for cauterization, stating that iron is actually his preferred metal: “therefore in our own opinion cauterization is swifter and more successful with iron”. In chapter twenty-nine, “On cauterization for pleurisy”, he states: “Now one of the Ancients mentioned that there were some people who used an iron cautery shaped like a probe, and introduced it red hot into the intercostal space until it reached the abscess itself and evacuated the pus…but in this perforation with the cautery there is a danger either that the patient may die on the spot or that an incurable fistula may rise in its place”. In the 14th century, the French surgeon Guy de Chauliac quoted al-Tasrif over 200 times. Pietro Argallata (d. 1453) described Al-Zahrawi as “without doubt the chief of all surgeons”. Al-Zahrawi’s influence continued for at least five centuries, extending into the Renaissance, evidenced by al-Tasrif’s frequent reference by French surgeon Jacques Daléchamps (1513–1588).